The course actually begins behind the San Juan College Health and Human Performance Center. Stop inside for a course map and information. This nine hole course borders the City of Farmington's lush and legendary desert Pinon Hills Golf Course in the high desert terrain of Northern New Mexico. 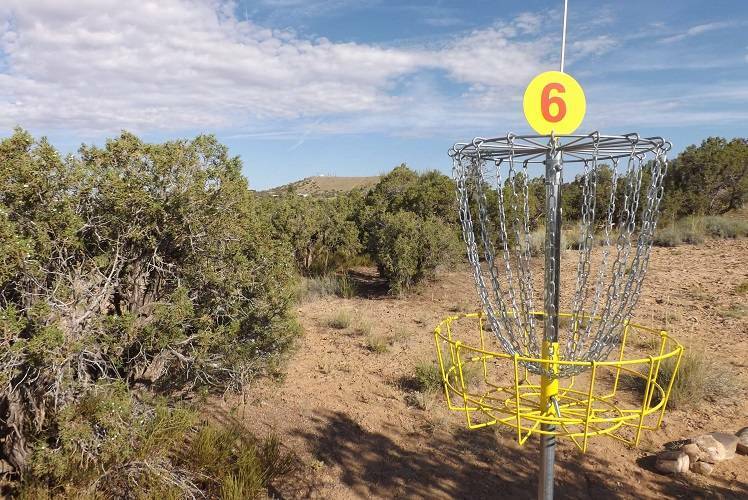 Features breathtaking southwest vistas and a series of unique, challenging disc golf holes that range from easy to moderately difficult.